Looking for a professional Ferndale plumber? Contact the skilled professionals at Eagle Plumbing & Heating at (360) 318-9999. Click here to save on many of our valued services. Eagle Plumbing & Heating is committed to providing residents in Ferndale and the surrounding areas with quality plumbing services at a reasonable price. Whether you need us to repair a broken sewer line, install a brand-new water heater, remove a tough clog with our professional drain cleaning services, or have additional plumbing issues that require our attention, our expert professionals can get the job done quickly and help you to avoid future problems. 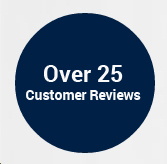 To read reviews from other customers in your area on our friendly and reliable service, click here. What are signs that you need to repair your sewer line? If you are experiencing sewer line problems, you will likely find that water is draining very slowly from your showers or sinks, and your toilet will not flush properly. This can potentially indicate that a clogged pipe is blocking your line. Since toilets normally send waste directly to the sewer line, they often have the largest sized drain in the house. Therefore, you may first notice the clog in your toilets. If you flush your toilet and it begins to overflow or water starts backing up into your shower or tub, this is a definitive sign that there is a problem with your sewer line. If you notice unusual activity when using your plumbing fixtures, such as bubbling in the toilet when you run the water in your sink it could indicate that there is air trapped inside of your pipes and professional services will be needed to remedy the problem. Eagle Plumbing & Heating offers both sewer line repair and replacement services, and upon inspection we can determine what course of action is most suitable for your particular situation. When do you need a professional drain cleaning? There are often some telltale signs that will indicate the need for our professional drain cleaning services. For example, you may notice that a clog continues to return after you have made multiple attempts to clear it; this usually signifies the presence of a stubborn obstruction in your pipes, which can only be resolved through professional means. When several fixtures in your residence start backing up at one time, there is likely a clog deep within your primary drainage system, which cannot be solved through the use of plungers or drain cleaners. Also, if you notice a foul odor emanating from your drains, a professional cleaning is likely need. An additional sign that might indicate that you need professional drain cleaning services is if you see water accumulating in your basement. This could also be a result of an intense clog, and may lead to more serious plumbing issues if not attended to quickly. There are several common reasons why homeowners contact our office for help with their water heaters. For example, you may notice that your system is not producing the desired amount of heated water for you and your family. If the problem with your unit is more severe there may be a complete absence of hot water in your home. If badly damaged, gas-powered water heaters can actually leak, creating an extremely dangerous situation for you and your loved ones. If you become aware of the smell of gas inside your home, leave your residence immediately, and contact the specialists at Eagle Plumbing & Heating for emergency service. If your water heater is malfunctioning you may also notice water leaking from your unit, in not attended to in a timely fashion a small leak can potentially result in a major flood. Additionally, foul-smelling, cloudy, or rust colored water usually warrants the need for professional water heater services. Our knowledgeable professionals will diagnose the issue to determine if a minor repair can remedy the situation or if a newer and more efficient water heater needs to be installed.